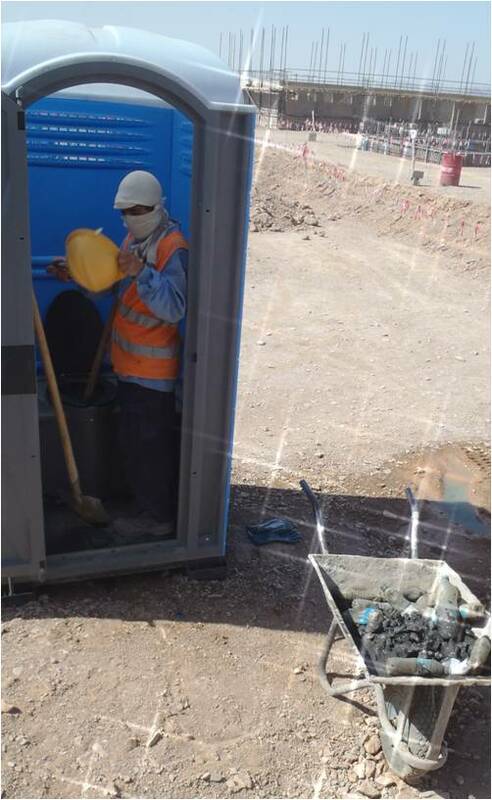 If there is one defining feature of construction sites, it is the portable toilet, more affectionally known as the port-o-potty. Believe it or not, on active project sites, these icons of the construction industry can be pretty clean and well kept. That is, the construction industry outside of Afghinistan. Why are there rocks in the holding tank? Because toilet paper doesn’t work as well. Rocks are the “Afghan Right” solution. With the country widely deforested, paper is a precious commodity. On the other hand, rocks are quite abundant. It is not an infrequent thing to walk into a restroom and find rocks strewn about the floor. They are on the floor because that makes them easier to reuse than having to fish them out of the toilet. Plus,rocks don’t flush very well (see Toilet Rocks). Paper is a luxury in Afghanistan in part because there are so few trees. So instead of paper in the bathrooms, Afghans use rocks. Out in the villages and farms, the rocks just go right down the hole after business is completed. With a tip of the hat to environmentalism, they sometimes recycle the rocks by just leaving them on the floor near the toilet. The Americans (me and you, the taxpayer) built a facility in northern Afghanistan with indoor plumbing, eastern-style toilets, and all the fixtures. Within the past year, we discovered the building had been destroyed by the foundation settling and splitting the building in half. A little research revealed that the Afghans had been putting their rocks down the toilets. When the toilets backed-up, they used rebar (reinforcing steel rods) as plungers to clear the rocks out. This broke the pipes which allowed the effluent to erode the subgrade foundation and sink the building!